A few months ago, I found a pattern online for Pajama monsters. I filed it away in the back of my head and thought - Yes! This will be a gift for the kids in the family. As Christmas grew closer, the thought of making monsters seemed less appealing to me. But I still thought it was a cute idea. As I browsed Old Navy's website, I saw some adorable pajamas. (on sale, of course!) And then it struck me - I'll make 'monsters' to match the pajamas! Once the pj's were delivered, I started scribbling some pattern ideas. 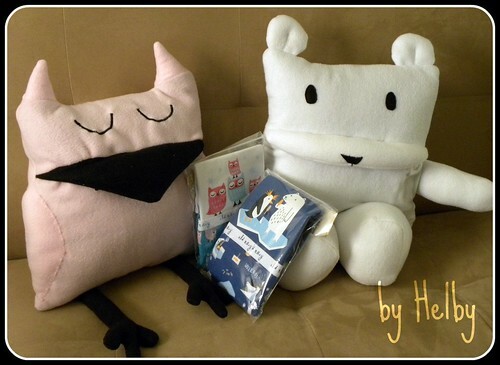 I was able to alter the pattern from SewFearless enough to make a Polar Bear pillow and an Owl pillow. And stuffed inside their bellies - the pajamas! I made these pillows with soft fleece. But I do think next time I should use those soft beads rather than stuffing to fill the pillow to make them even squishier. Those are so cute! What an awesome gift :) it'd be so fun to take to a slumber party! Oh my goodness! You did a fanTASTIC job! Look how you rocked changing the zipper mouth?! Good work! I bought the same pattern and transformed it for Christmas presents for my boys. I made mine into a monkey, frog & ninja. 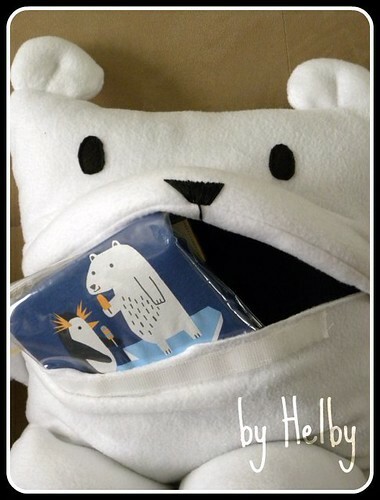 Your owl and polar bear are adorable - I LOVE them!! 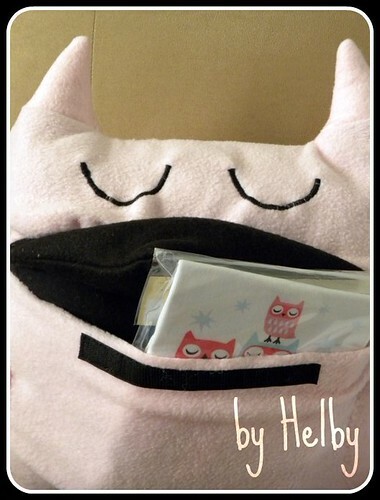 I'm up to my eyeballs right now making PJ eaters for my etsy shop and am working on an owl variation, too. Those are really cute. Is this a free pattern? Just wondering if you can share if it is. These would be great as the treats for my little guys birthday party. Thanks! I never noticed the link last night lol. Super adorably cute! I just finished my first pajama eater tonight, and it's stinking cute.